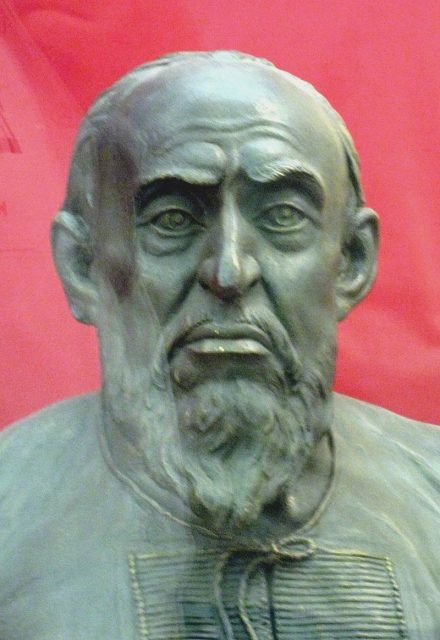 Tsar Ivan the Terrible, a man who greatly increased Russia’s power and prestige, was known for being vindictive, cruel, and paranoid. He was the first Russian monarch who adopted Tsar of All Russia as his title. He came on the throne at the age of 16, in 1547, and his nearly four-decades-long reign was marked by efforts to expand the territories of Russia. Though there were losses, due to the lost Livonian War (1558-1583) and the inception of the Polish-Lithuanian Commonwealth (1569) — which cut Russia’s connection to the Baltic Sea — Ivan’s Russia extended south of Moscow towards the Caspian Sea, and on the east to the vastness of Serbia. Ivan’s family life was, however, filled with more losses than gains. He became a father eight times, but his fatherhood did not go well. 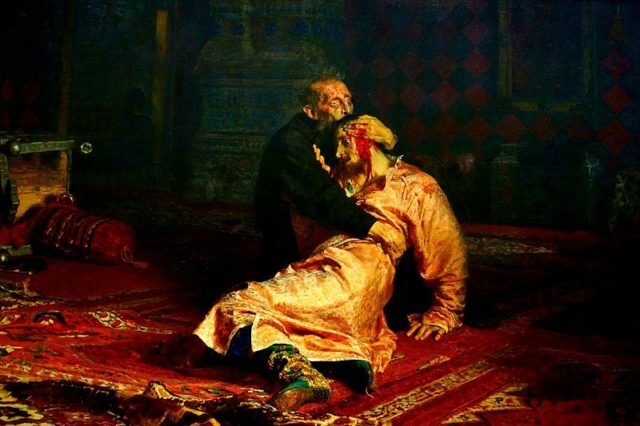 Many of his children he lost as infants, and one of them was even killed by his own hand — an episode depicted in a famous painting by Ilya Repin: Ivan the Terrible and His Son Ivan. Ivan the Terrible and His Son Ivan, painting by Ilya Repin, 1885. Things were sometimes tense and unpleasant also with the spouses. Poisoning, drowning, being sent to a nunnery, or exiled — these were some of the things prescribed to happen had you been one of Ivan the Terrible’s eight Tsarinas. Of the eight women Ivan married, only the first three were recognized his legitimate wives by the church, only the first wife did he truly love, and at least two of the seven “replacements” might be a fabricated story. 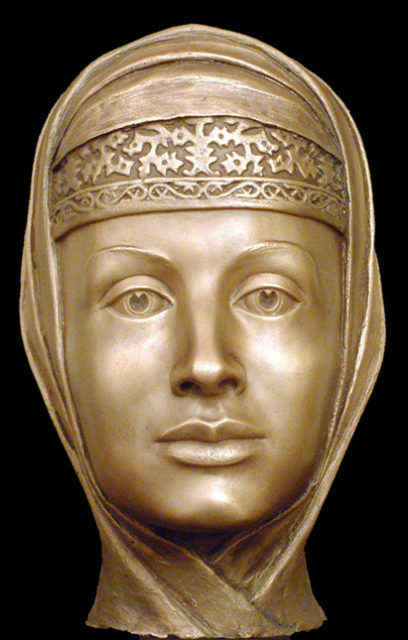 Ivan’s first wife was Anastasia Romanovna, with whom he entered a union shortly after being crowned. They remained together until Anastasia’s death 13 years later, in the summer of 1560. By this point, the Tsar and Tsarina had six children, of whom four died at a very young age. Word has it that Ivan chose Anastasia Romanovna out of 1,500 potential brides who were brought to him by nobles from all corners of Russia. His flighty and volatile nature was soothed and calmed in the presence of Tsarina Anastasia. Her death evoked some of Ivan’s first blasts of paranoia. He threw blame at the Russian boyars, suggesting that they poisoned his wife. He supposedly assumed the nobles were trying to poison him, but his wife became the accidental victim. 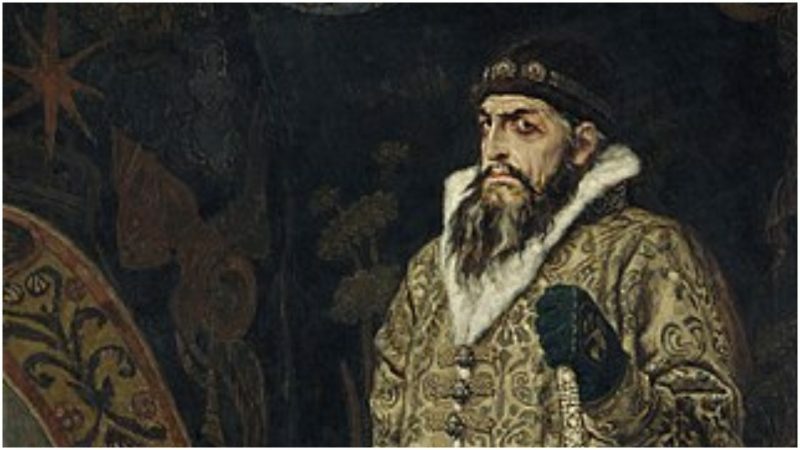 Ivan’s dislike of the Boyars eventually grew to boiling point after the death of the tsarina, and he ordered the torture and executions of a number of people. Acts like this are how he earned the nickname Terrible. Modern research has suggested that Anastasia could indeed have been a victim of mercury poisoning. Traces of the element was found in high concentration in the tsarina’s hair. It is uncertain if Ivan truly loved the wives that followed. His second wife was Maria Temryukovna, the daughter of a Muslim prince. Russian lore tells us that on her deathbed, Anastasia told Ivan to not wed a pagan, which Maria Temryukovna would have been considered. However, the tsar was lured by Maria’s extraordinary beauty. 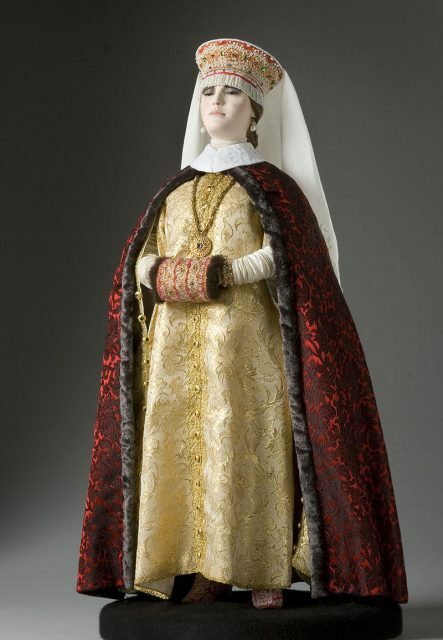 Tsarina Maria did not bring much joy to the Russian royal home. She was disliked and was not respected because of her character. She failed to be a good stepmother to Ivan’s two surviving sons, and never truly fitted into the royal household. During their eight years of marriage, Maria bore Ivan one son who died just a few months after birth. Temryukovna’s death in 1569 is again a suspected case of poisoning. Some say Ivan conducted the wrongdoing himself. However, as if this was the reprised epilogue of his first marriage, the tsar again used a long list of people to torture and execute, only now for the death of his second wife. Next followed a two-year-long quest to find Ivan’s third wife — which would be the last marriage to be blessed by the church. The quest led to 19-year-old Marfa Vasilevna Sobakina, a girl raised in a merchant family. But her time as tsarina was rather shorter than the quest to find her. A few days after the wedding, Marfa Vasilevna Sobakina, fell sick. Ivan entered a new cycle of paranoia. Some assume she was poisoned by a fertility potion. Within a year, the suffering Russian tsar proceeded to marry his fourth spouse, in 1572. Her name was Anna Alexeievna Koltovskaya. As it turned out, Ivan’s fourth tsarina was infertile and so she was sent to a nunnery. Now the path was clear for Ivan’s fifth wife: Anna Vasilchikova. 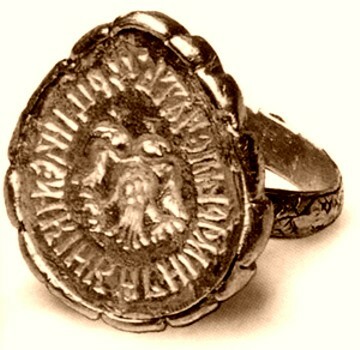 Details are scarce about Vasilchikova, but knowing Ivan, there must have been some sort of issue since this wife too was consigned to a monastery. The marriage ended in 1576. 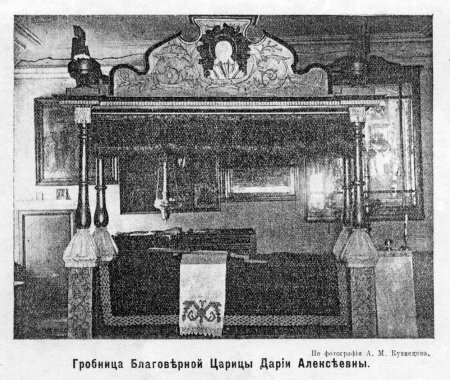 Tsarina Anna Koltovskaya (nun Daria)’s grave. 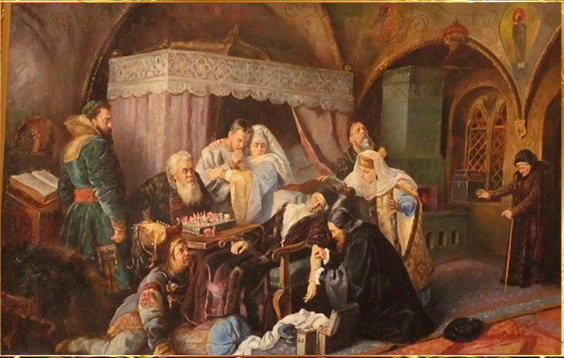 While Ivan’s former spouse Anna Alexeievna Koltovskaya reached longevity in the nunnery — one of only two of Ivan the Terrible’s wives to outlive him — Anna Vasilchikova faced death shortly after was escorted out of the royal home. There is speculation she was killed under the orders of Ivan. 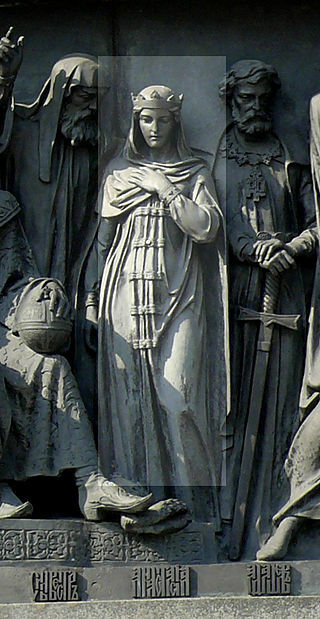 And then comes Vasilisa Melentyeva, the sixth and legendary wife of Ivan the Terrible. Melentyeva might be an invented story dating from the 19th century. The tale goes that his sixth wife arrived as a widow to the royal home in 1579. She became the new companion of Ivan, but she also found a love interest in another man, Prince Devletev. 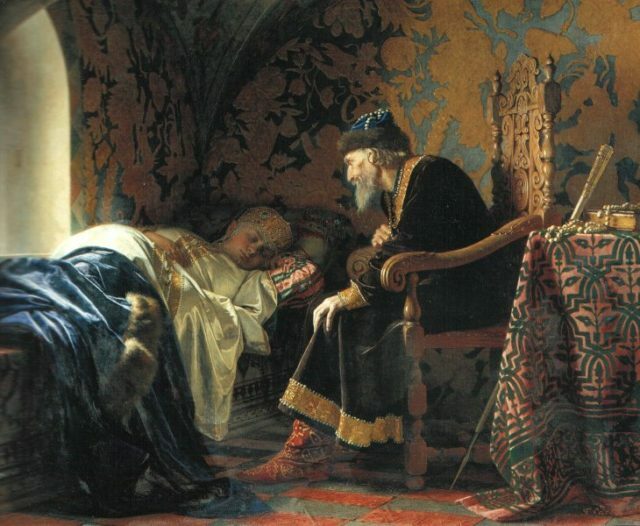 Tsar Ivan IV admires his sixth wife Vasilisa Melentyeva, painting by Grigory Sedov, 1875. Ivan found out that his wife was cheating on him, and had her sent to…the nunnery, of course. But before that, she allegedly witnessed the painful execution that was ordered on her lover. Some versions of the story say Vasilisa Melentyeva might have actually been one of Ivan’s concubines. Vasilisa Melentyeva, portrait by Nikolai Nevrev in 1886. 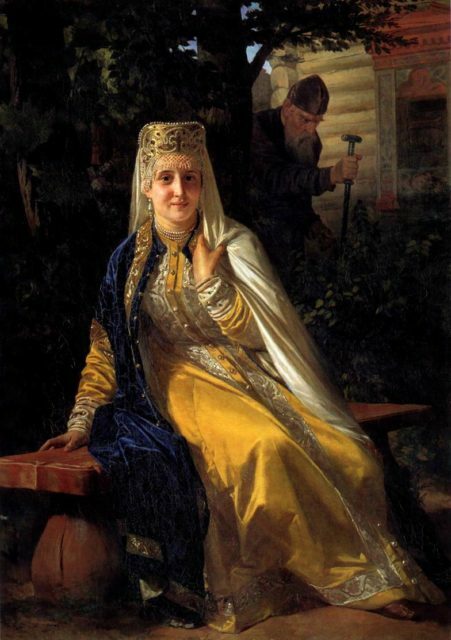 Maria Dolgorukaya is the name of Ivan’s seventh wife, but she also might be fictional. Ivan allegedly married Dolgorukaya, a far-flung descendant of Yuri Dolgorukiy, the prince credited with founding the city of Moscow, in 1580. She was caught in an act of infidelity and punished with drowning. And somehow, Ivan’s last wife, Maria Nagaya survived. The tsar died in 1584, three years into their union which resulted with the birth of their son, Dmitry. After the tsar’s death, Maria Nagaya was banished from the palace. Her son Dmitry was assassinated in 1591. The former tsarina was sent to a monastery after that. She would die 24 years after the death of Tsar Ivan, in 1608. Just enough time for her to get involved in another royal drama: She recognized at least one of the four “Fake Dmitry’s” who tried to claim the throne as an impostor. Finally, there is at least one woman who wisely spared herself from the troubles guaranteed for anyone becoming the wife of Ivan the Terrible. It is said that the Russian tsar proposed to Queen Elizabeth I, but the famous tenant of the English throne declined. We can only imagine the course of history had such a union taken place.